Popped in from FMF. You had me with the Dr. Seuss thumbnail. I adore Dr. Seuss and his life advice. I love your thoughts about whispers. It seems they are a huge part of our lives…especially as children. Thanks for a trip down memory lane with Dr. Seuss. This was so warm and charming. Loved this allusion and the quiet mood of the entire piece. What thoughtful, kind words–thank you! I appreciate that too–it’s neat to hear parents wonderfully teaching their children when they don’t know someone’s watching. Thanks for visiting! 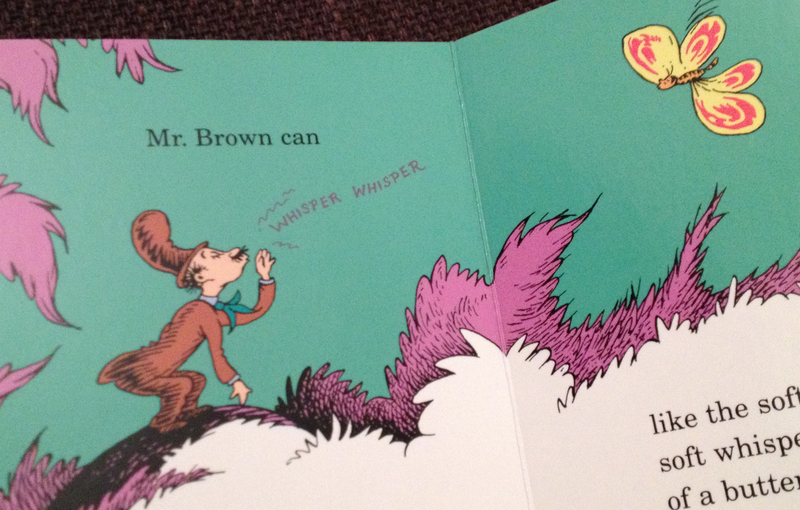 First I love Dr. Seuss since I am a teacher. Second, the whispers we share with those we love most are the ones we desire to stay with them forever. So glad you stopped by my place so I could then find yours. Happy weekend!